SS UNS S30400 / S30403 / S30409 Hex Screw , Stainless Steel DIN 1.4301 / 1.4307 / 1.4306 Castle Tap Bolt, 304 SS Stove Bolt, Stainless Steel 304L Allen Cap Screw Manufacturer & Stockist in Mumbai, India. Asiad Steels is one of the known exporters and manufacturers of Stainless Steel 304 Bolts, Stainless Steel 304H Bolts and Stainless Steel 304L Bolts, which is defined as a Chromium-Nickel austenitic alloy. 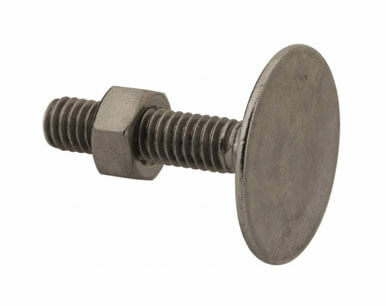 Buy SS 304 Bolts, SS 304H Bolts and SS 304L Bolts in leading market price from us. Stainless Steel 304 Hex Bolts is not very electrically or thermally conductive and is non-magnetic. Lower carbon of Stainless Steel 304 Heavy Hex Bolts minimizes chromium carbide precipitation due to welding and its susceptibility to intergranular corrosion.Stainless Steel UNS S30400 Square Bolts is often used in the brewing industry where it is used in pipelines, yeast pans, fermentation vats, storage and railway cars, etc. 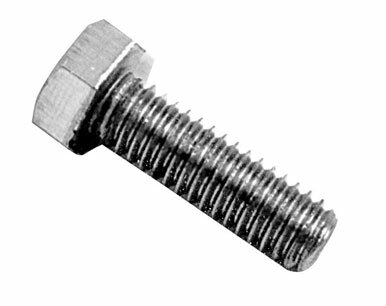 Stainless Steel 304H Hex Cap Screws has greater short term and long term creep strength than SS 304L at temperatures above 500 Degree C. The higher carbon content of Stainless Steel 304H Hex Screws may lead to sensitization with a concomitant loss of corrosion resistance in a corrosive environment. Stainless Steel UNS S30409 Allen Cap Screws is often used in industrial boilers, pressure vessels, heat exchangers, pipelines and condensers. Alloy 304L Bolts (Din 1.4307 Bolts) Stainless Steel 304L Socket Cap Screws is a lower carbon variant of SS 304 which can be welded without the resulting issue of carbon precipitation. Stainless Steel 304L Countersunk Slotted Screws often eliminates the necessity of annealing weldments except for applications specifying stress relief. Stainless Steel UNS S30403 Machine Screws is often used in food processing equipment, particularly in beer brewing, milk processing, and wine making. ASTM A 193 SS 304 DIN 933 Bolts, Stainless Steel 304 Bolts, Stainless Steel 304 U Bolt, SS 304L Hex Bolts, Stainless Steel 304H Eye Bolts Dealer, SS 304 Plow Bolt Supplier & Exporter. 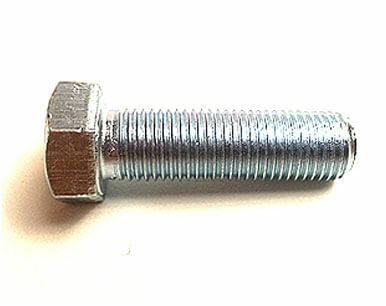 We are Exporter of SS 304 Bolt in Worldwide Such as India, Peru, India, Iran, Puerto Rico, Ukraine, Kuwait, Qatar, Bolivia, Iraq, New Zealand, Libya, Austria, Denmark, Namibia, Afghanistan, Lithuania, Finland, Egypt, Nigeria, Netherlands, Poland, Singapore, Venezuela, France, Turkey, Hungary, Serbia, Nigeria, Philippines, Malaysia, Pakistan, Taiwan, South Africa, Zimbabwe, Bhutan, Portugal, Kenya, Mexico, Germany, Ireland, Chile, Croatia, Russia, Brazil, South Korea, China, Yemen, Angola, Costa Rica, United States, Slovakia, Canada, Gabon, Macau, Chile, Trinidad & Tobago,Tunisia, Hong Kong, Gambia, Bulgaria, United Arab Emirates, Kazakhstan, Argentina, Saudi Arabia, Italy, Morocco, Nepal, Ghana, Mongolia, Jordan, Romania, Ecuador, Greece, Belarus, Oman, Switzerland, Azerbaijan, Thailand, Sri Lanka, United Kingdom, Japan, Norway, Iran, Spain, Australia, Mexico, Israel, Lebanon, Indonesia, Bangladesh, Belgium, Colombia, Tibet, Sweden, Estonia, Vietnam, Bahrain, Poland, Czech Republic, Algeria. We are Suppliers of Stainless Steel 304L / 304H Bolts in India Such as Mumbai, Courbevoie, Faridabad, Chiyoda, Bangkok, Perth, Sharjah, Ahvaz, Ankara, Nashik, Petaling Jaya, Rajkot, Jakarta, Seoul, Al Khobar, Madrid, Calgary, Santiago, Lahore, Cairo, Gurgaon, Noida, Surat, Visakhapatnam, Navi Mumbai, Brisbane, Lagos, Karachi, Port-of-Spain, Thane, Houston, New Delhi, Ho Chi Minh City, Kolkata, Ernakulam, La Victoria, Dubai, Abu Dhabi, Melbourne, Sydney, Caracas, Doha, Vung Tau, Dammam, Kuala Lumpur, Geoje-si, Ludhiana, Secunderabad, Hong Kong, Mumbai, Milan, Bogota, Indore, Montreal, Toronto, Vadodara, Hyderabad, Nagpur, Thiruvananthapuram, Coimbatore, Kuwait City, Manama, Los Angeles, Pune, Bengaluru, Dallas, Mexico City, Kanpur, Jaipur, Aberdeen, Jamshedpur, Bhopal, Jeddah, Hanoi, Riyadh, Baroda, Chennai, Ahmedabad, Ranchi, Algiers, Moscow, Granada, Busan, New York, Rio de Janeiro, Singapore, Edmonton, Al Jubail, London, Chandigarh, Colombo, Howrah, Ulsan, Atyrau, Pimpri-Chinchwad, Muscat, Tehran, Haryana, Istanbul, Gimhae-si.